Would you like to be able to access all of the Artemis Rising 2 episodes in one place? Of course you would! Well this is it. We’ll add them as they are released from now until the deal is done, and then you’ll know where to return to find them all when you want to share them with friends. Artemis Rising is the month-long celebration of female and non-binary authors in genre fiction run across three Escape Artists podcasts PodCastle for fantasy, EscapePod for science fiction, and PseudoPod for horror. In a couple days, Escape Pod will be releasing its first Artemis Rising 2 episode. 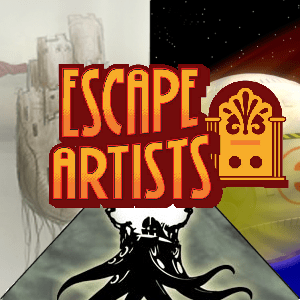 At the same time, we will be starting a thread here to track the AR episodes from all of the Escape Artists shows so you can get links to them all in one place that you will be able to refer back to easily for as long as this site exists. This year we have commissioned a special art print by legendary illustrator Galen Dara. The print will be available for purchase through Society6 until March 31, 2016. Galen likes monsters, mystics, and dead things. She has created art for Uncanny Magazine, 47North publishing, Skyscape Publishing, Fantasy Flight Games, Tyche Books, Fireside Magazine, Lightspeed, Lackington’s, and Resurrection House. 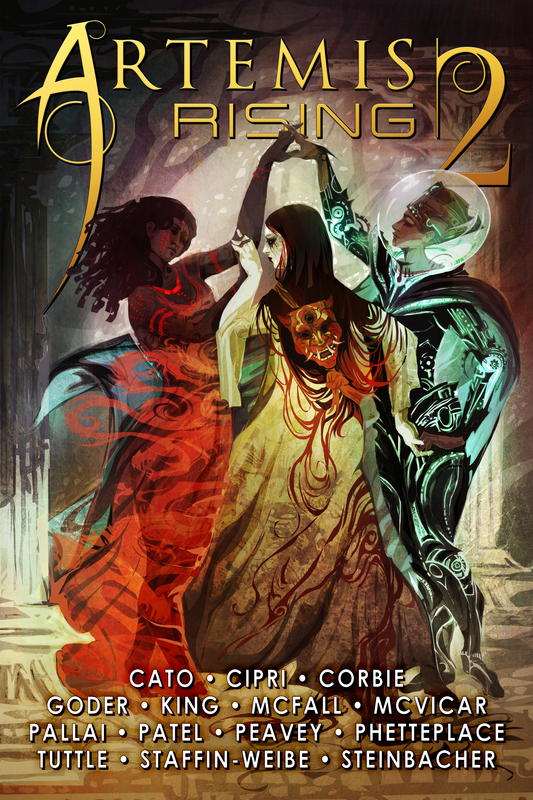 She has been nominated for the Hugo, the World Fantasy Award, and the Chesley Award. When Galen is not working on a project you can find her on the edge of the Sonoran Desert, climbing mountains and hanging out with an assortment of human and animal companions. Her website is www.galendara.com plus you can find her on Facebook and Twitter @galendara. After years of great service, Arri and Kimi who run Poddisc for us have decided to step away. This means that PodDisc, our CD fulfillment site, will be shutting down in early February. That means two things. First, if you’re a PodDisc customer – and we know lots of you are, and thanks for that – now is your last chance to get caught up on any t-shirts or back catalogue you’re missing. PodDisc is happy to take your orders. Second, for the next little while EA won’t have a fulfillment service. We’ve been looking into different options behind the scenes, both for physical products like t-shirts and prints and swag, and for digital distribution of our back catalog. Don’t worry, the EA back catalogue will always be available for free on our websites. Like I said, different options and ideas are in the works, for approaches you’ve not seen before to the retail side of the company. Once we have something to announce, you’ll be the first to know. Craig Mackie is holding a fund-raiser for ESCAPE ARTISTS in Montreal this Friday, October 25, 2013. There will be live readings of weird fiction by Eric Lis, Marta Barnes, Gregg Chamberlin, Dean Garlick and Rob Kimsey. By Donation. A fund-raiser for three fantastic sister podcasts: Pseudopod, Podcastle and Escape Pod. Please check it out if you can! An urgent update on the status of Escape Artists, its three podcasts, our plans for the future and why we desperately need your help getting there.